1. Improve Your Musical Skills Beyond Average Nothing good will come easy. So if you dream of making money and having a lasting success in the industry make sure you work hard to make your work stand out. Remember it is not only your voice or singing style that will make you unique but the song you compose too makes a huge impact. 2. 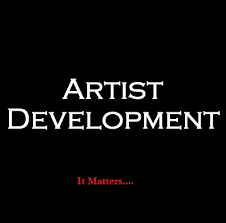 Have A Clear Vision and Strategy Most musicians I know who are successful or have blown up in the industry made it because they have a clear vision and strategy about their careers. It is difficult to succeed as a musician without a clear focus. 3. Forget Pride, Be Humble Forgetting pride and being humble is a very important factor to succeed in life. At times, people will like to help you but if you are not humble, they do not see any reason to invest in you. Nobody wants to help a rude person. That’s the fact. Talent alone is not enough. You need people that will help you to succeed, so forgoing pride and being humble will open the doors of opportunities for you. 4. Do Self-Promotion Promoting your music should be your first priority because you can blow easily with good promotion even if you are not a dope artist. This can easily be done if you get to know the top DJs, bloggers and entertainment journalists in the industry who can help you blow up quickly. It may sound funny but you cannot blow easily if you cannot get out of your comfort zone. Robin Dopoe, Jr., is a freelance art and culture writer for the Daily Observer newspaper in Liberia. The Nimba born, is the Press and Public relationship officer of the Liberia Nation Movie Union. Not only that, Robin is also a music coach and a bio write. Contact Robin on Facebook with the name Robin C. L Dopoe, Jr.